Elderly Care in Waikiki HI: Family caregivers are excellent at running themselves ragged. Often what that can lead to is you being in worse shape than your elderly loved one is. Here are some specific categories to pay better attention to in your own life. Caregiver in Kahala HI: Taking a vacation when you’re a family caregiver is definitely still possible. You will need to put a little bit of extra planning into the adventure, but you can have a successful time away. Caregiver in Oahu HI: Caring for someone with Alzheimer’s disease can take a toll on your emotional and physical health. Home Care in Maui HI: Caregiver denial is not an unusual experience, particularly for those who are caring for an elderly loved one who is dealing with Alzheimer’s disease. Thinking About Hiring In-Home Care? Here Are Some Quick Tips on How We Can Help. By Jermie Chadwick, CEO	| Oct 17, 2016	| Comments Off on Thinking About Hiring In-Home Care? Here Are Some Quick Tips on How We Can Help. 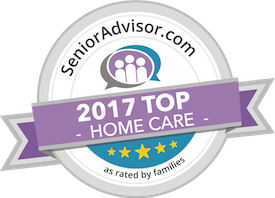 If you’ve been wondering how home care providers can help you or your elderly loved one, this list can give you some ideas. Read more.